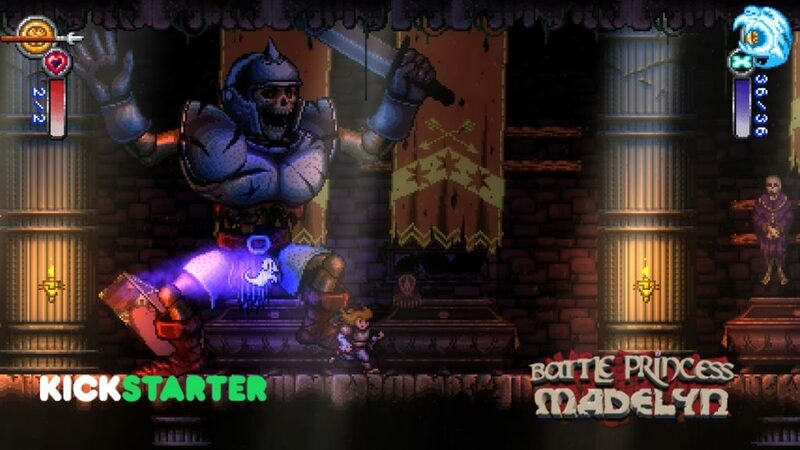 March 15 2017, Nova Scotia, Canada – Causal Bit Games has today launched its Kickstarter for Battle Princess Madelyn, seeking a modest goal of $60,000 CAD and unlocked the Pre-Alpha to the public to sample pledging! Causal Bit Games is an independent gaming start-up company based in Canada. Owner and Creative Director, Christopher Obritsch is a young, retired professional graphic designer and creative director and long-time hobbyist-turned-indie game dev. His partner in crime, Daven Bigelow, is the coding brains of the operation and works on hitch hiking robots in his spare time! Last but not least, we have the keeper of the cheese, Angelina Obritsch who is in charge of the finances, as well as hiring.